The design is based on the school motto Believe and Achieve. Taking it to the root: Aspirations. The design aims to convey the challenges and excitement of growing up, navigating our way – discoveries, adventure, creativity, friendship, freedom and happiness. 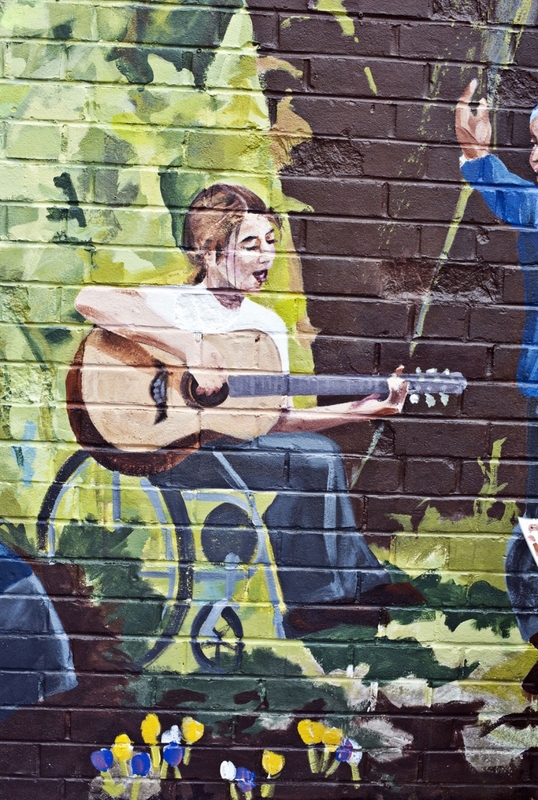 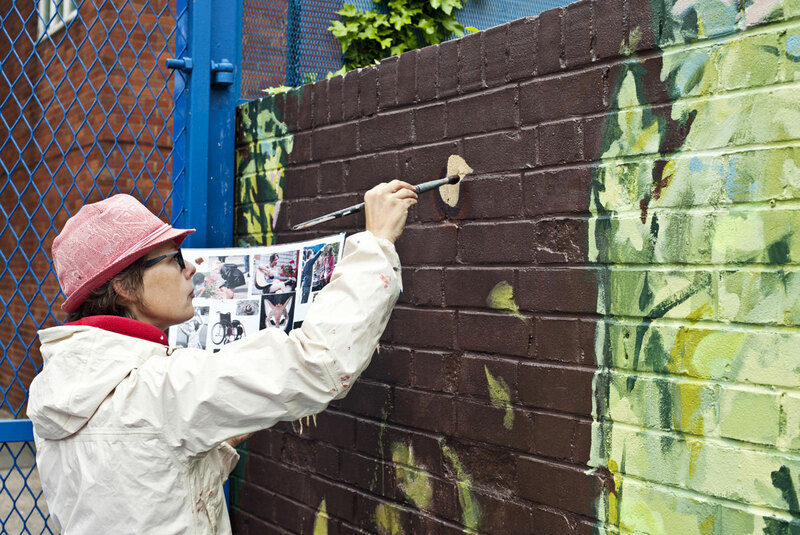 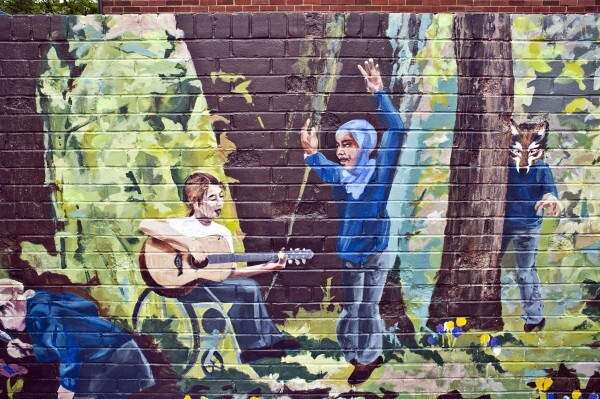 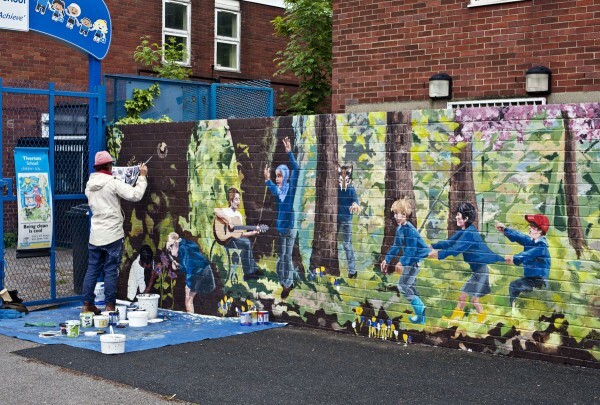 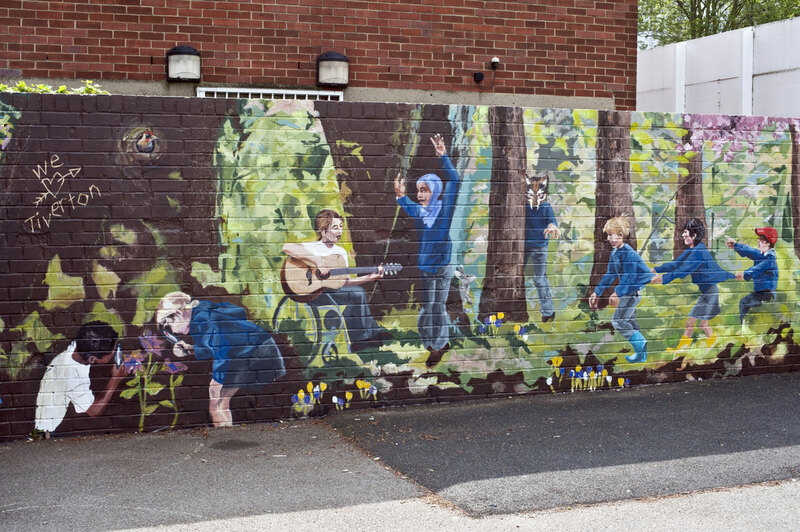 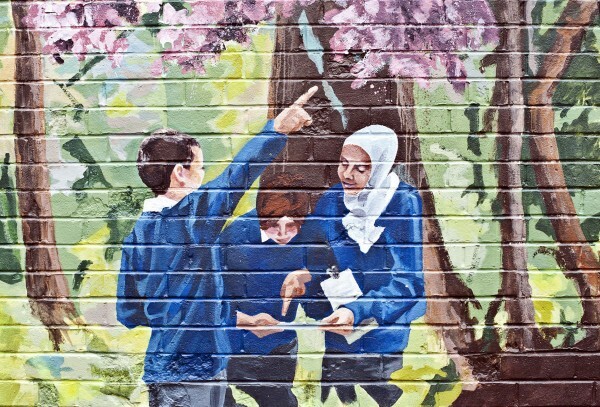 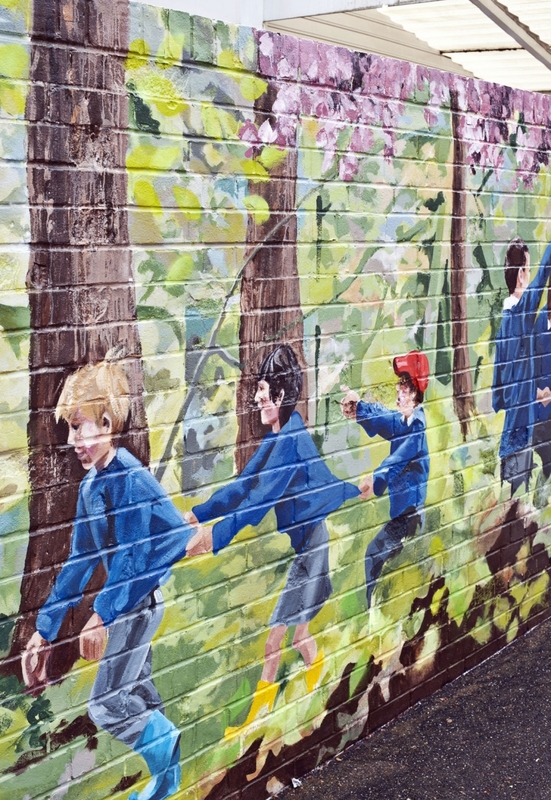 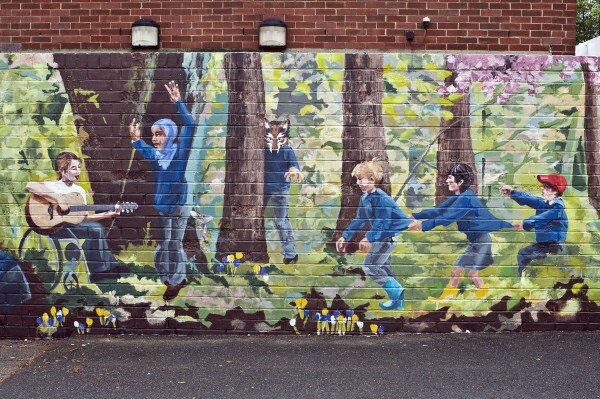 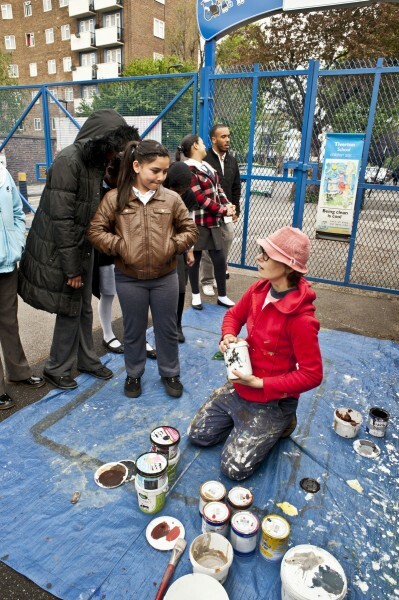 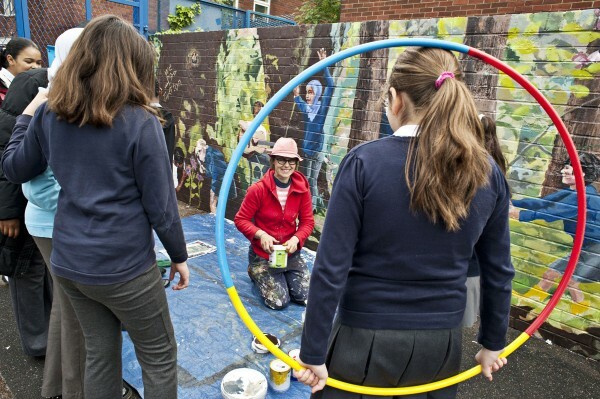 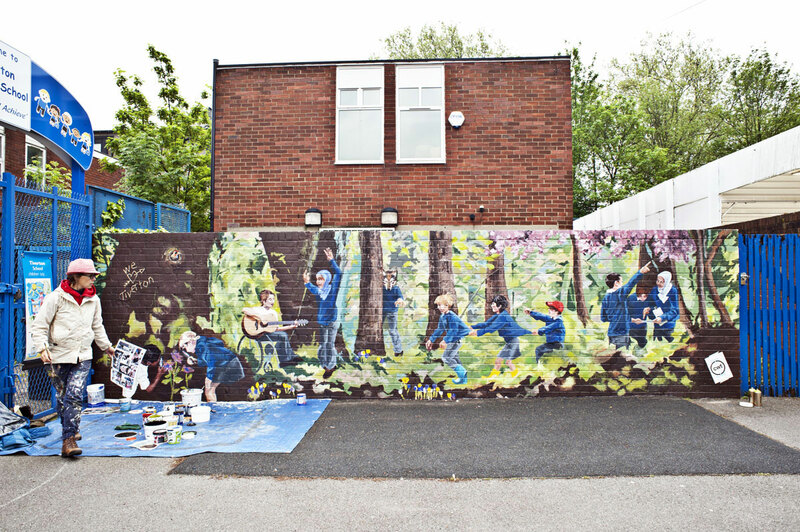 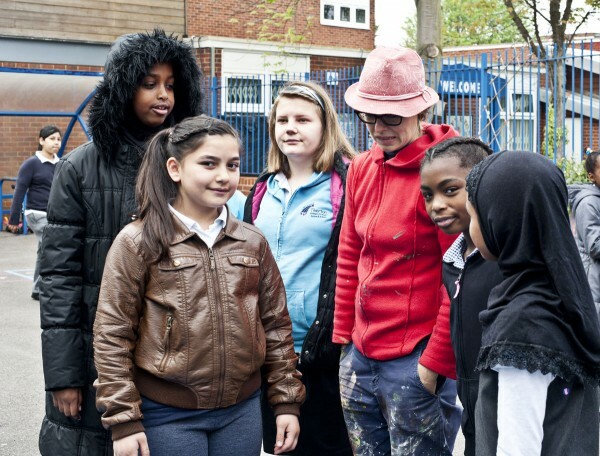 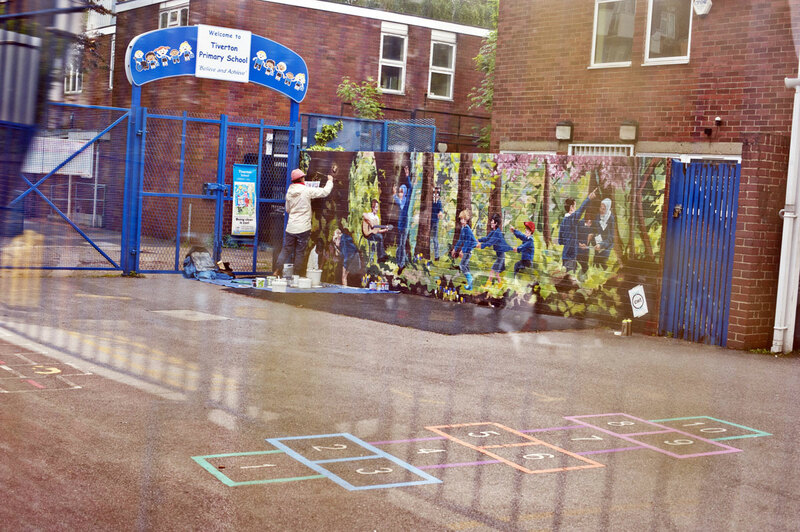 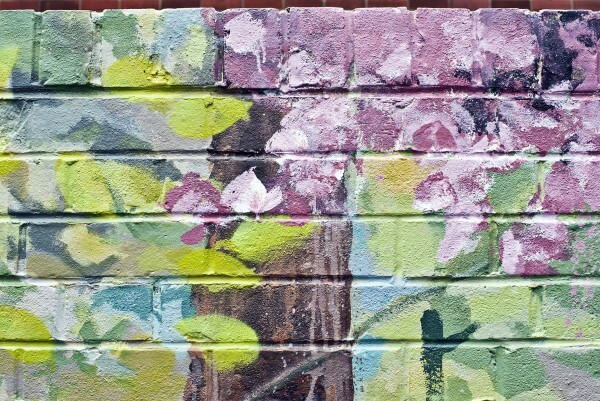 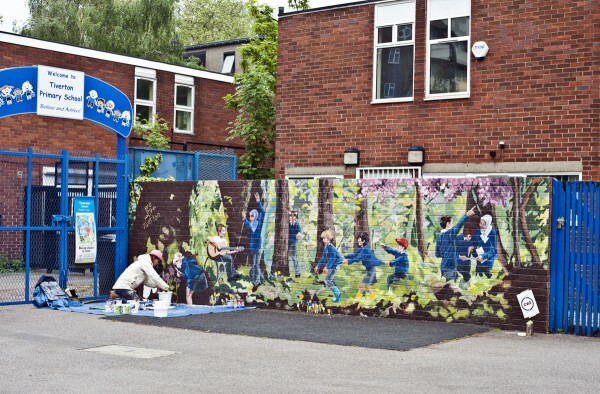 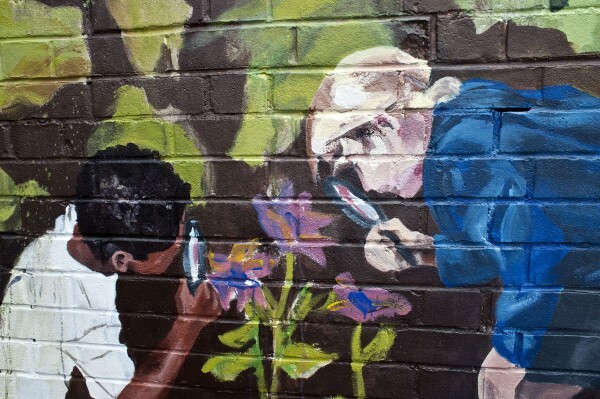 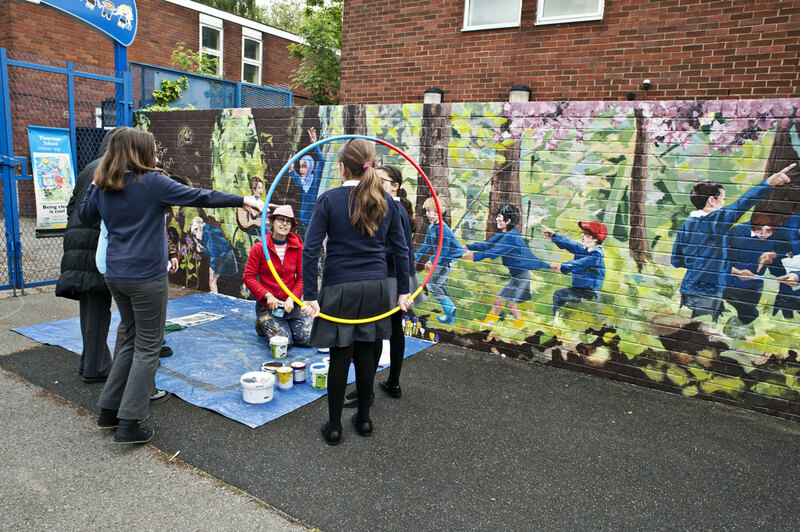 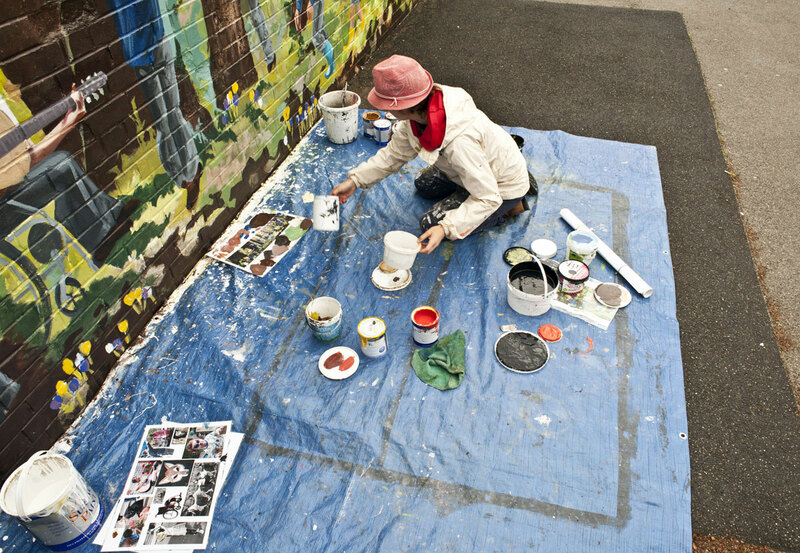 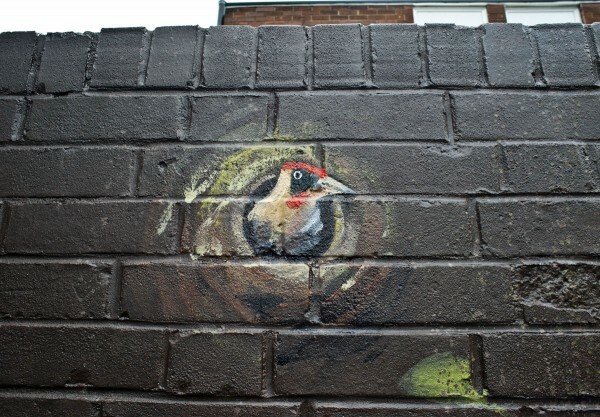 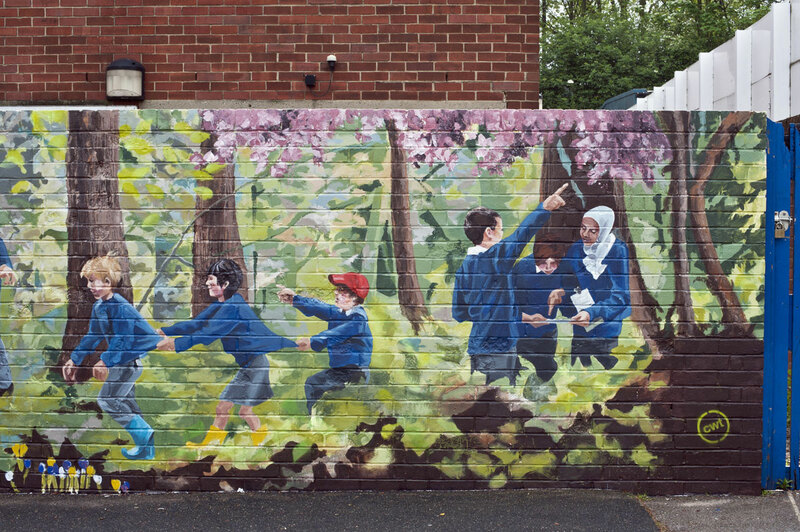 This was the second mural of two at Tiverton Primary School, Haringey. 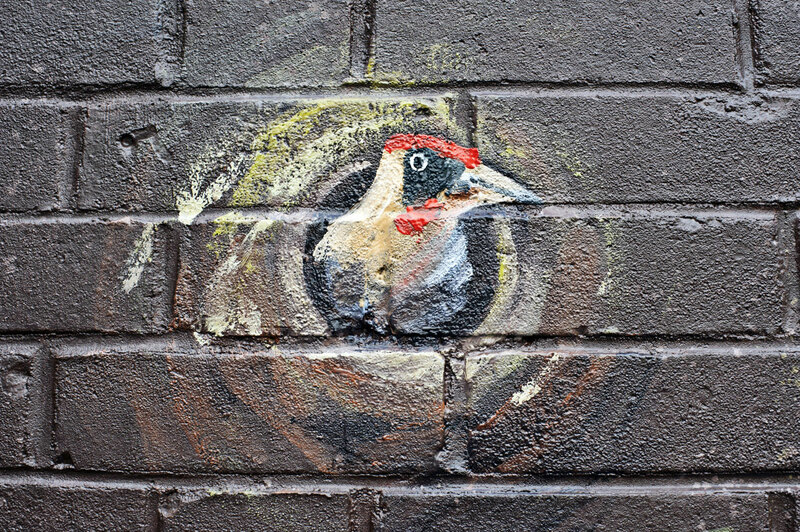 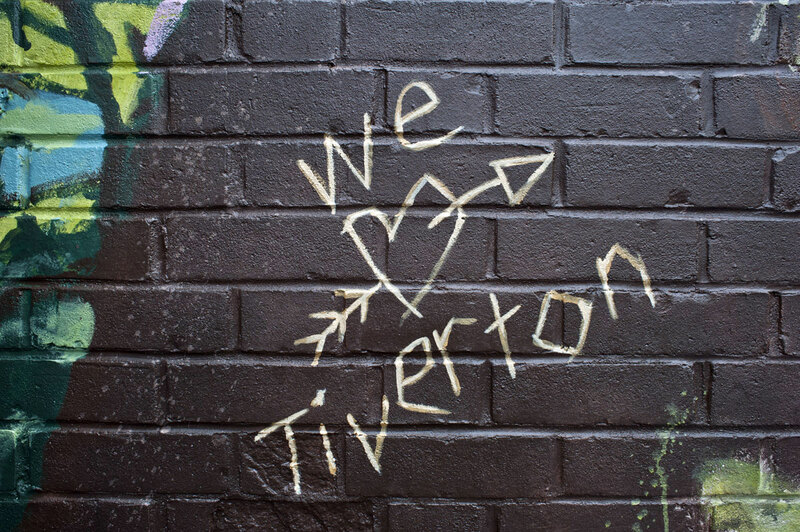 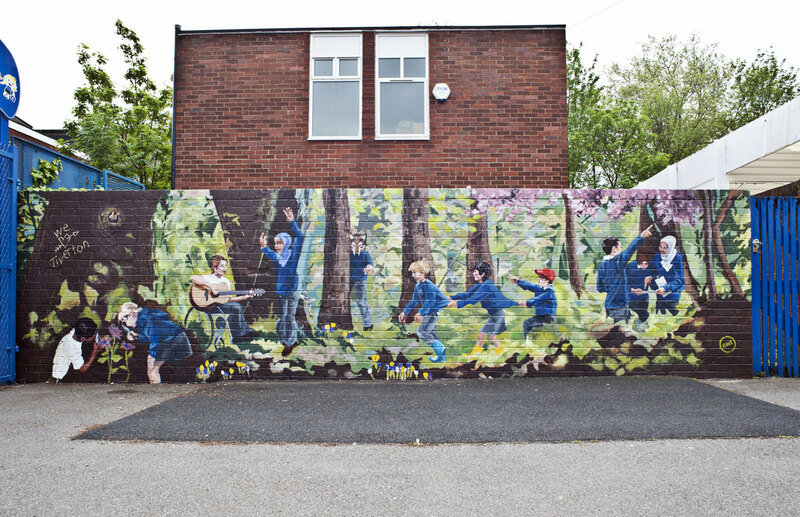 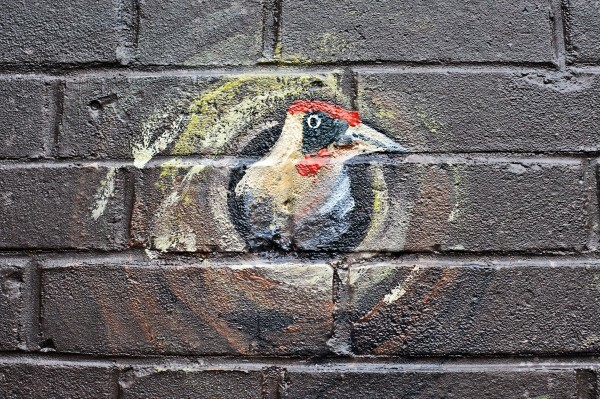 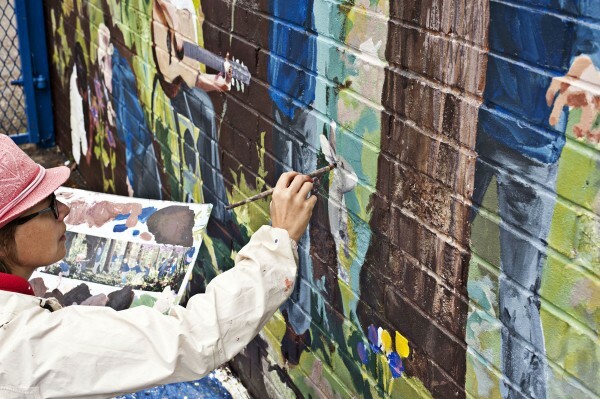 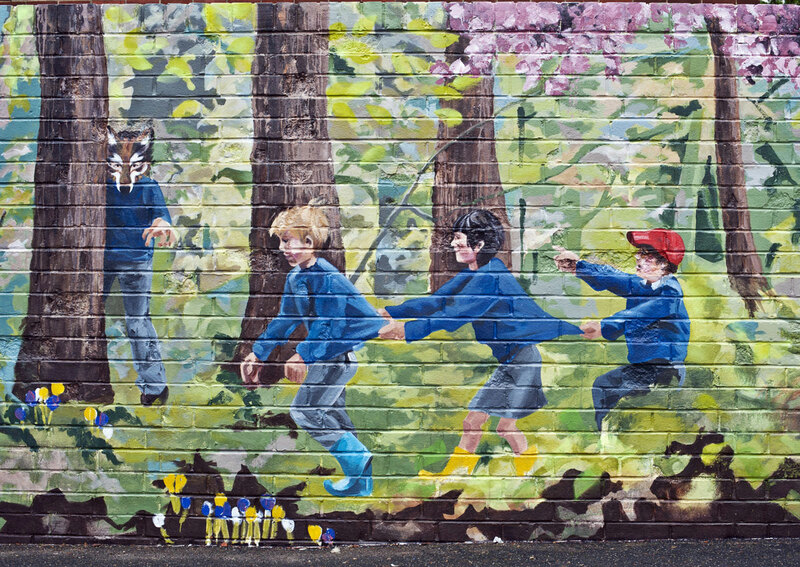 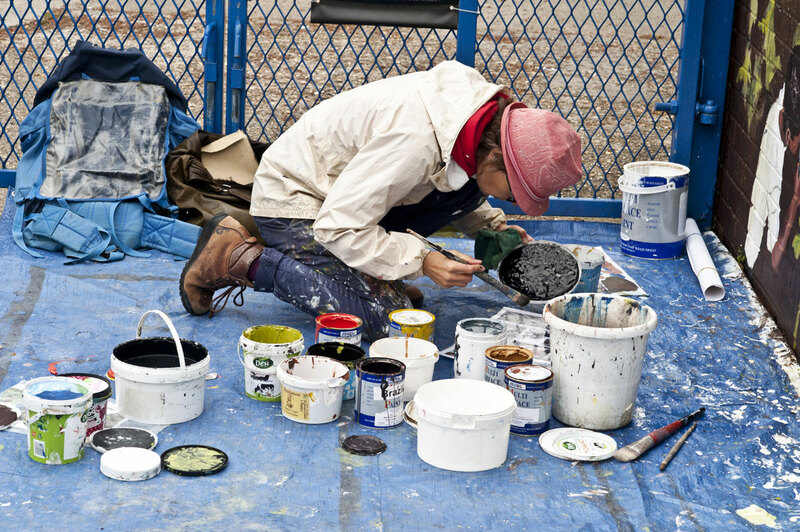 Following The Tiverton Wolf this mural aimed to complement the theme of wilderness and the great outdoors. 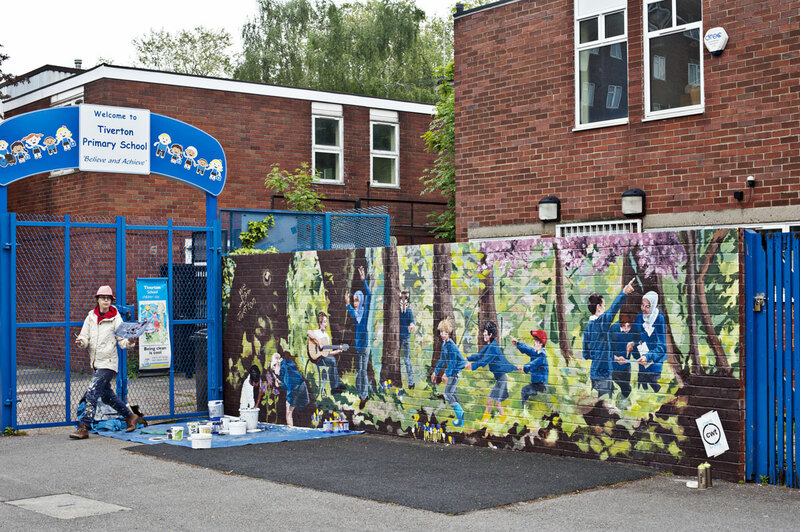 So again, in consultation with years 4, 5 and 6, a design mock up was made and a series of discussions were had with 6 classes. 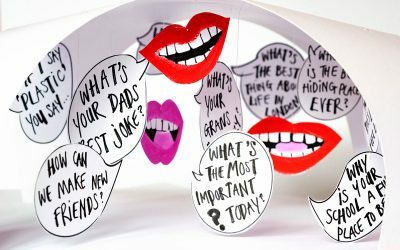 Their comments were taken on board, the design redrafted and a final proof agreed by the school Governors before being given the go ahead to paint. 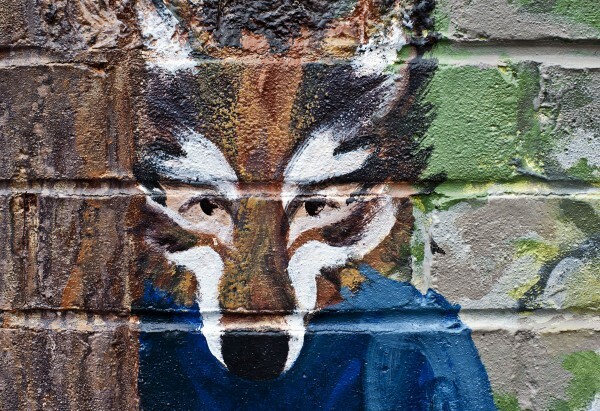 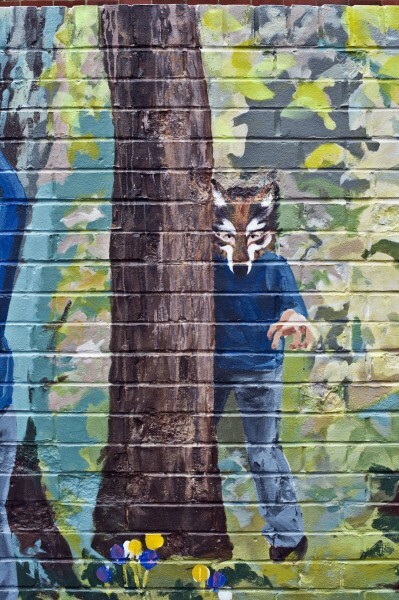 I couldn’t resist the opportunity to be a little playful – winking at our best-known children’s fiction, subverting the wolf and linking with the original wolf mural in the same playground. The wolf – The woods – The wilderness… Here’s to keeping life wild!